First Responders are those that that operate in an environment where they are reasonably expected to assist in an emergency as part of their job and for which a basic first-aid course is insufficient and an Emergency Medical Technician certification is excessive. This course is usually taught to firefighters, police, park rangers, utility workers, teachers, child-care workers, bodyguards, flight attendants, sports coaches, athletic trainers, hunting and fishing guides, search & rescue personnel, campus police, lifeguards, ski patrollers, camp counsellors, boy scouts and girl scouts. 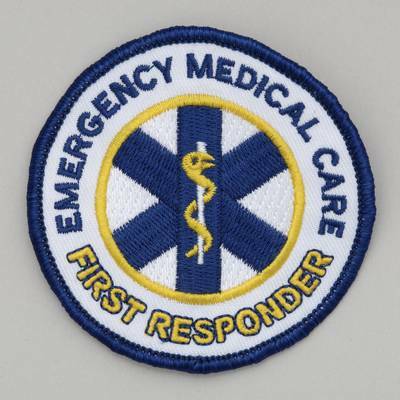 The course teaches an introdcution to Emergency Medical Services, medical/legal issues, anatomy and physiology, airway management, patient assessment, CPR, poisoning and substance abuse, behavioral emergencies, bleeding, shock, soft-tissue injuries, injuries to muscles and bones, emergency childbirth, geriatric emergencies, working with EMS personnel, and terrorism awareness. The course is taught to the first-responder national standard curriculum and is approximately 50 hours in length. The course includes the CPR for the Healthcare Provider as well as First Responder certifications. We schedule this course to an organization's need. Days, evenings and weekend sessions based on your personnel scheduling requirements.